Fruit and food vector footage of banana tiers. Different designs with hands of ripe fruits. Cartoon style traces of ripe bananas to create food, eating, healthy foods, dieting, vitamins, tropical fruits and recipes designs. 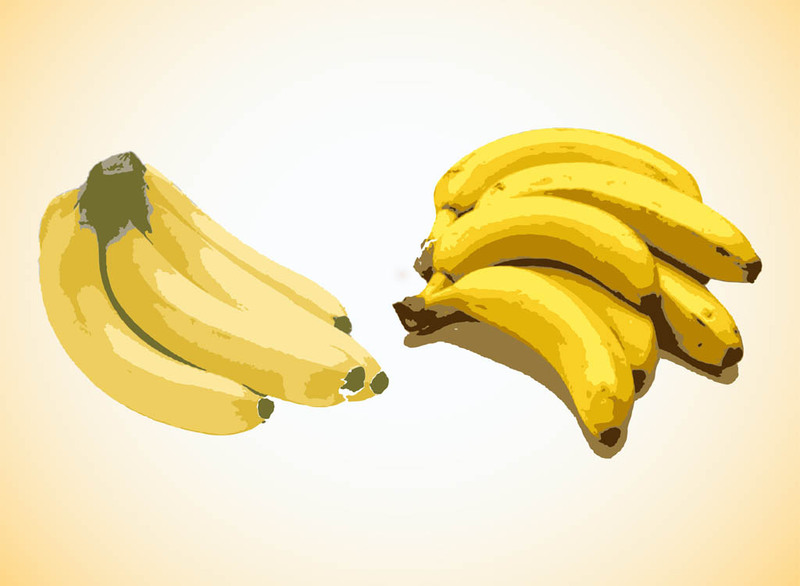 Free vector bananas for adverts, stickers and product labels visuals. Tags: Banana, Exotic, Fruits, Hands Of Bananas, Summer, Sweet, Tiers, Tropical.